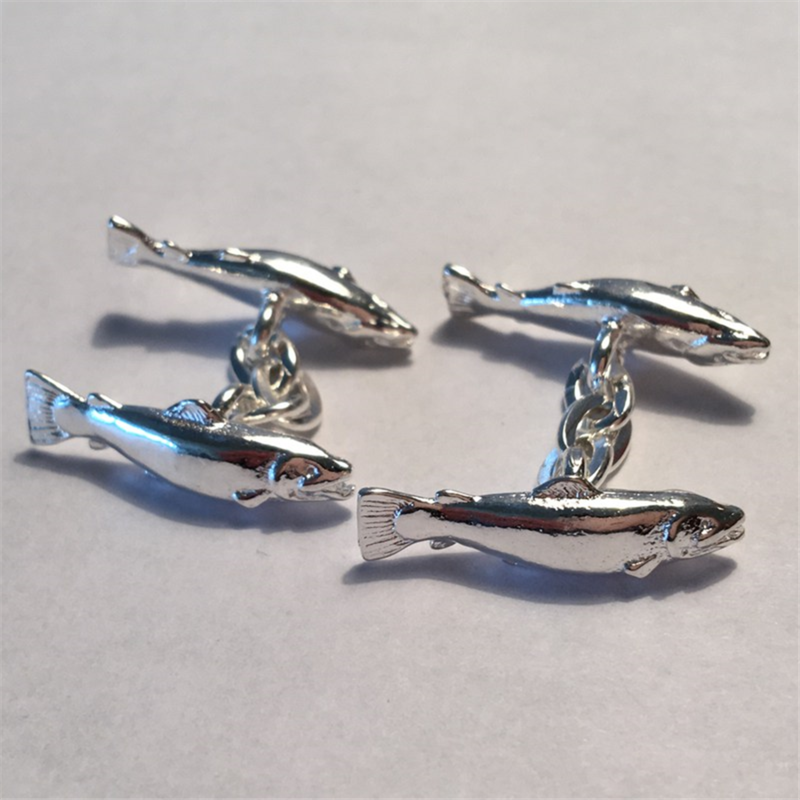 Our silver plated Salmon Cufflinks are designed for salt water lovers. 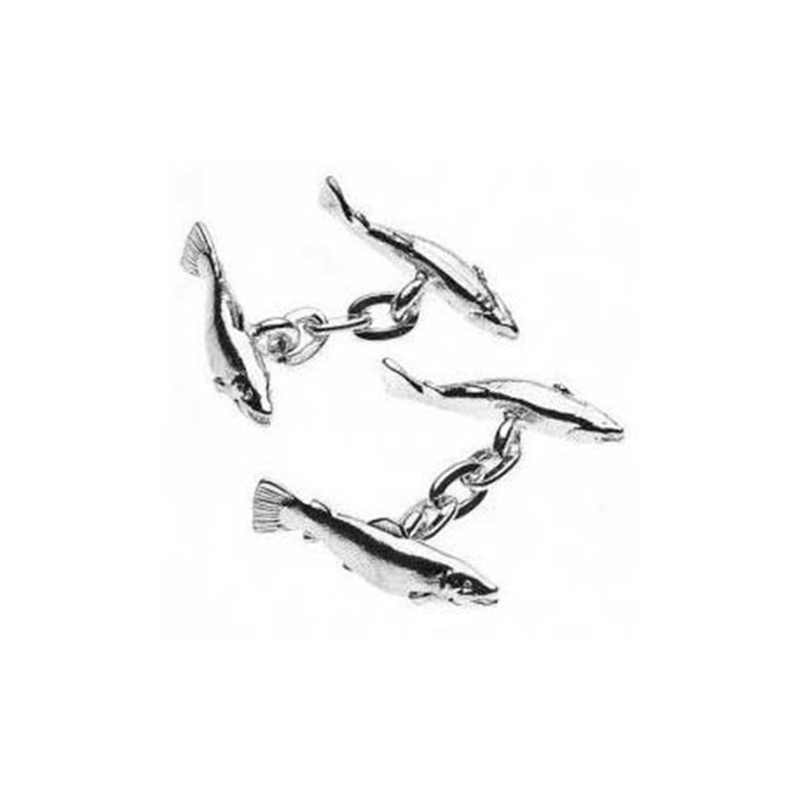 These cufflinks are designed for anyone who has a passion for fishing. The cufflinks are designed and manufactured in England with a shiny silver plated finish. 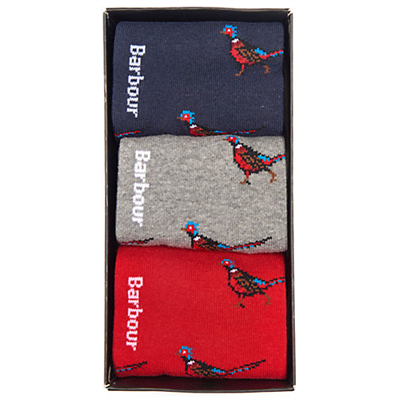 The cufflinks use the head and bum of each animal to create a truly unique pair of cufflinks.